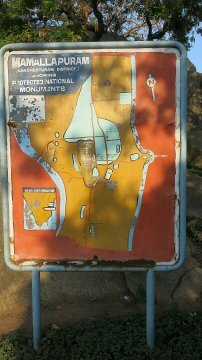 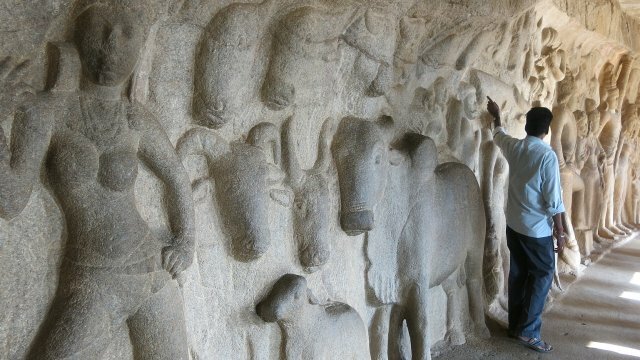 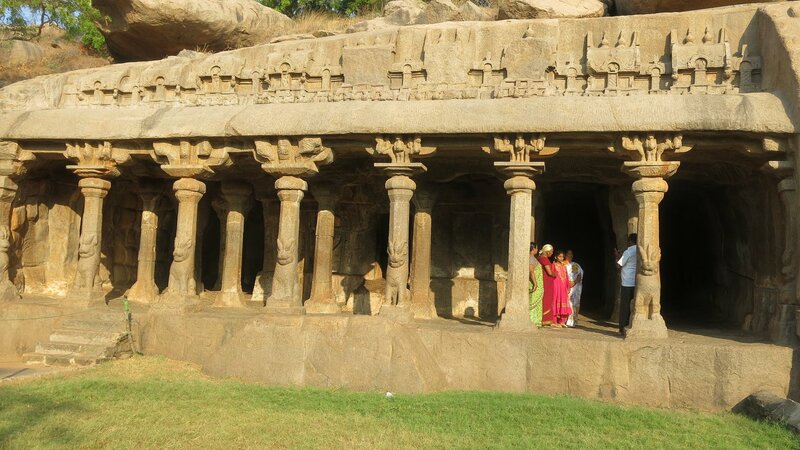 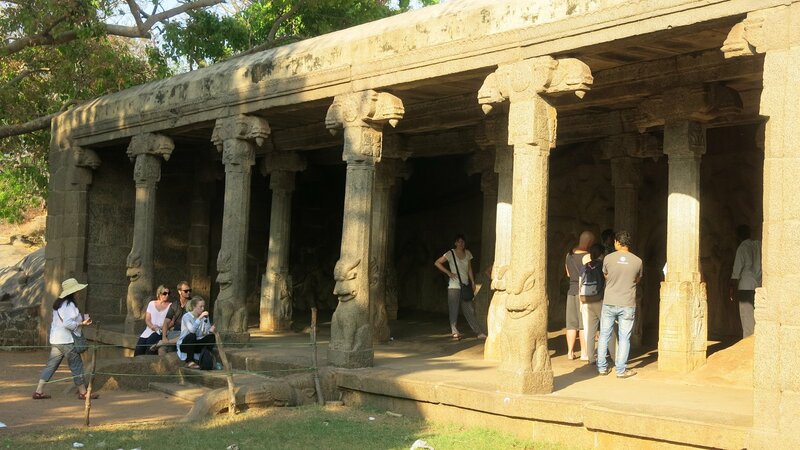 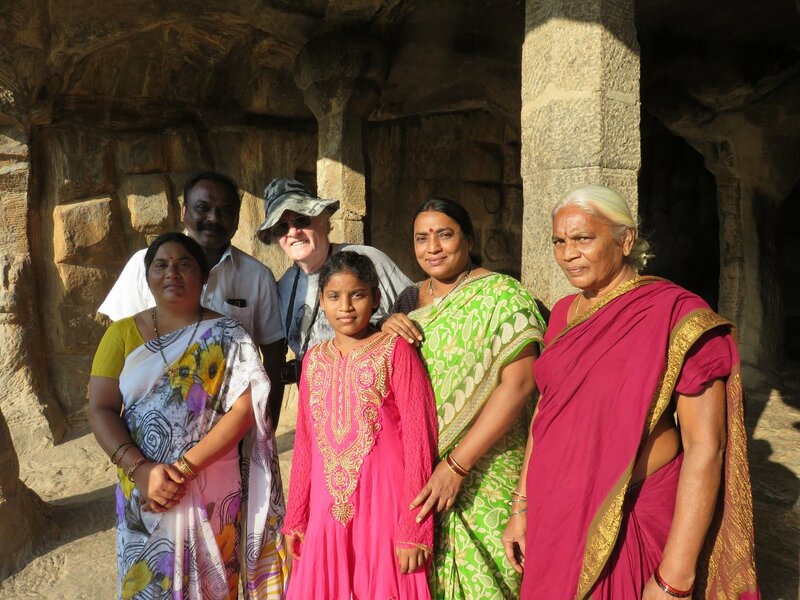 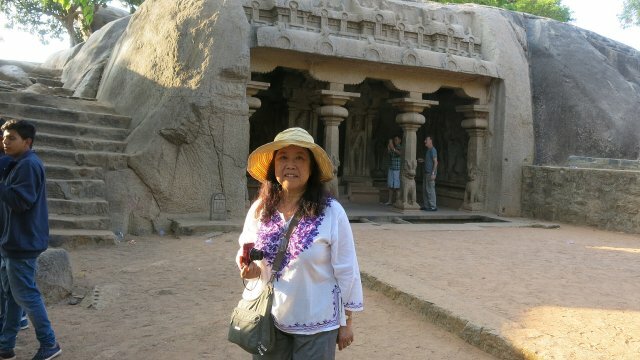 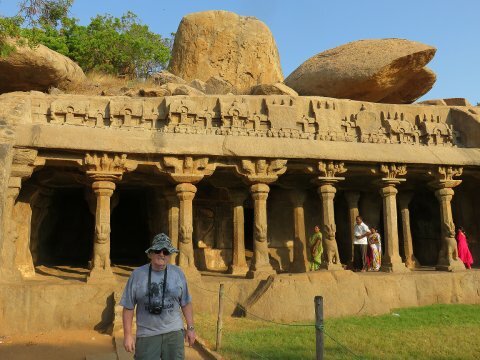 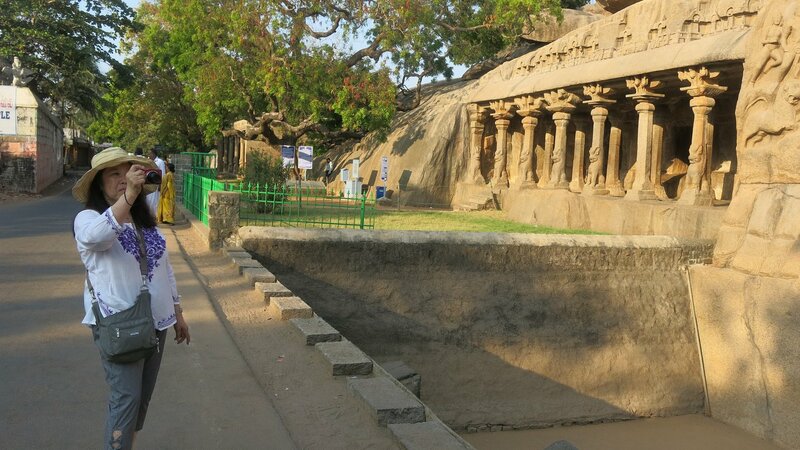 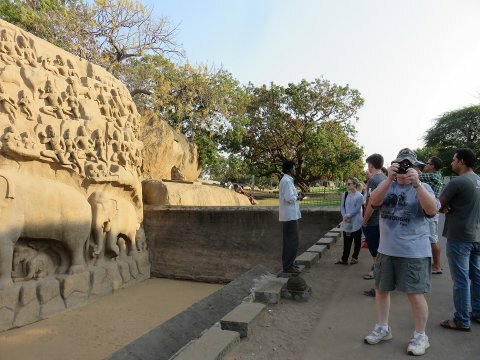 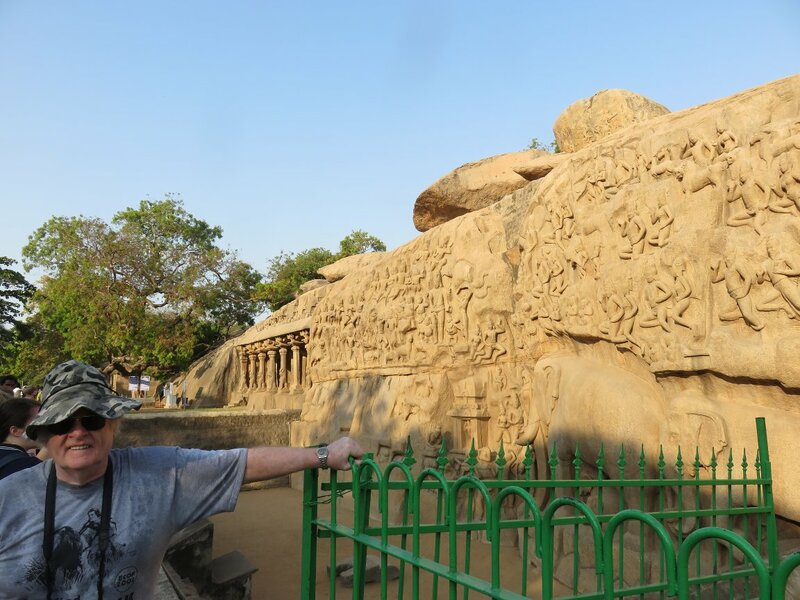 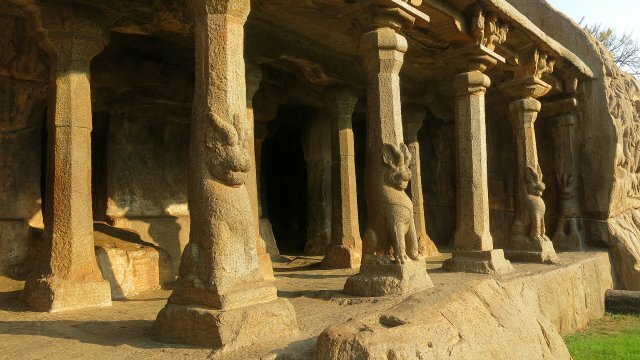 We explored quite a variety of carved structures in this area: Krishna Mandapam, Descent of the Ganges, and the Varaha Cave Temple. 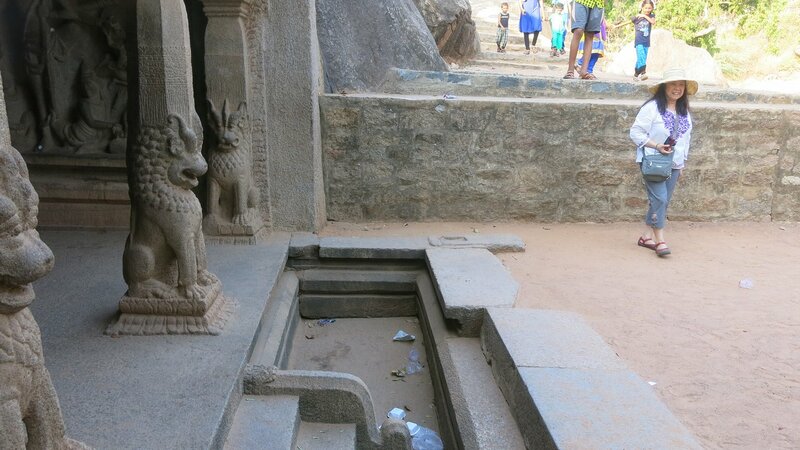 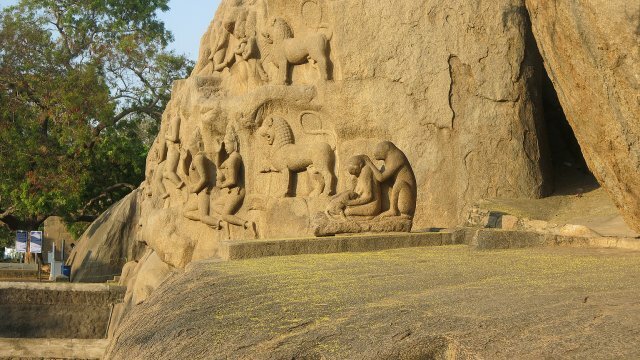 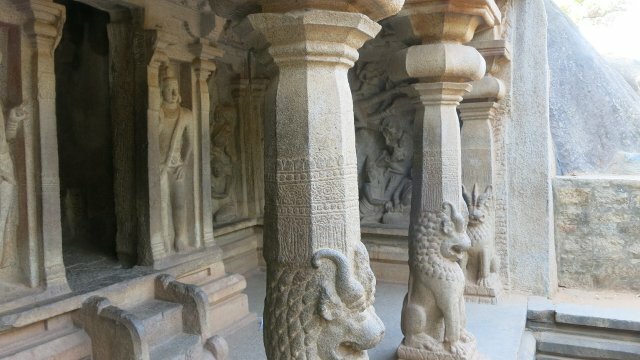 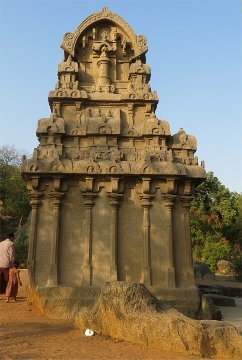 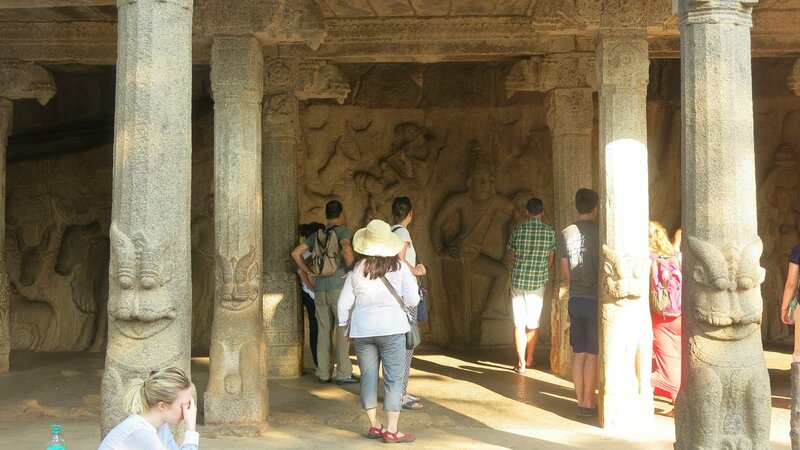 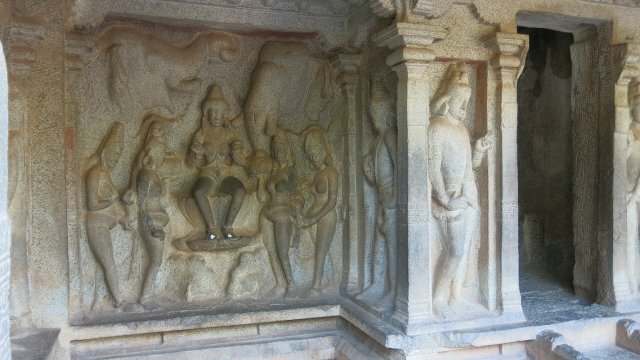 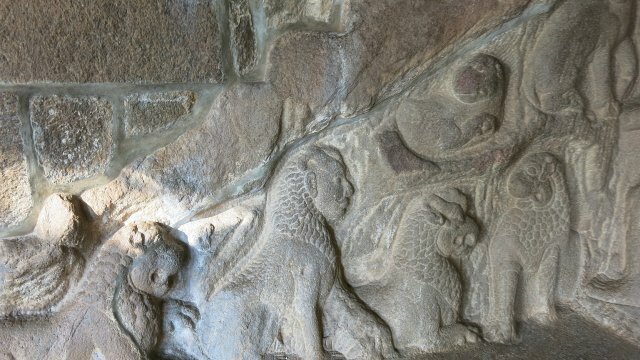 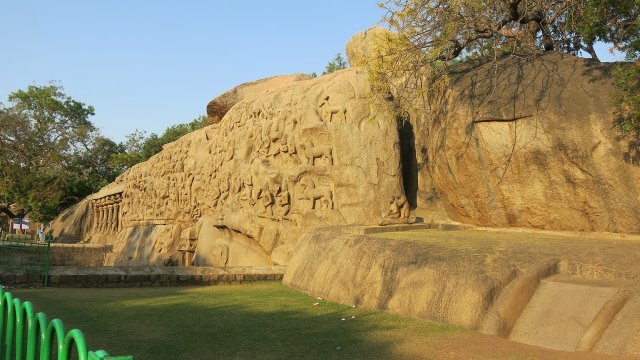 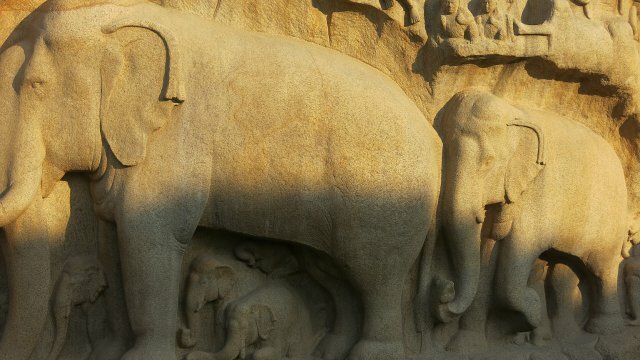 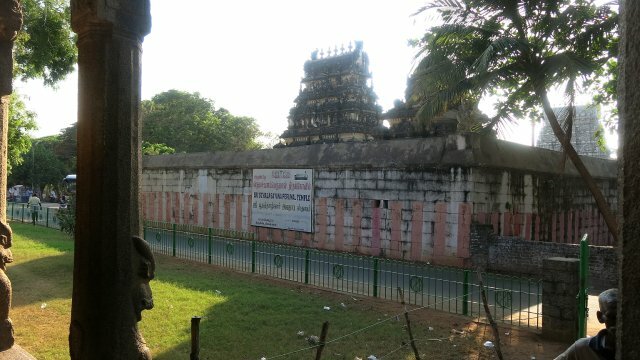 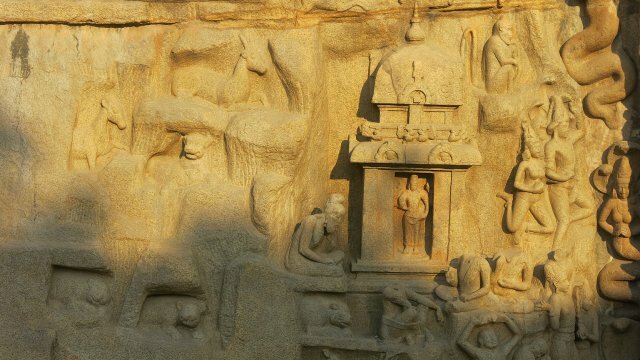 Sections of the temple are carved from one huge piece of natural granite. 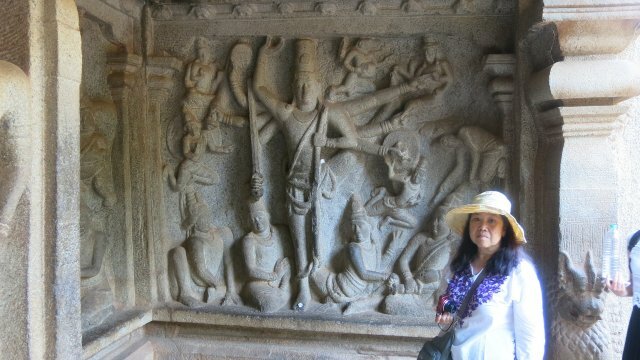 Our local guide Mr. Shiva said these are the only carvings comparable to the carvings at Cambodia's Angkor Wat, except those are in sandstone, and these are in granite. 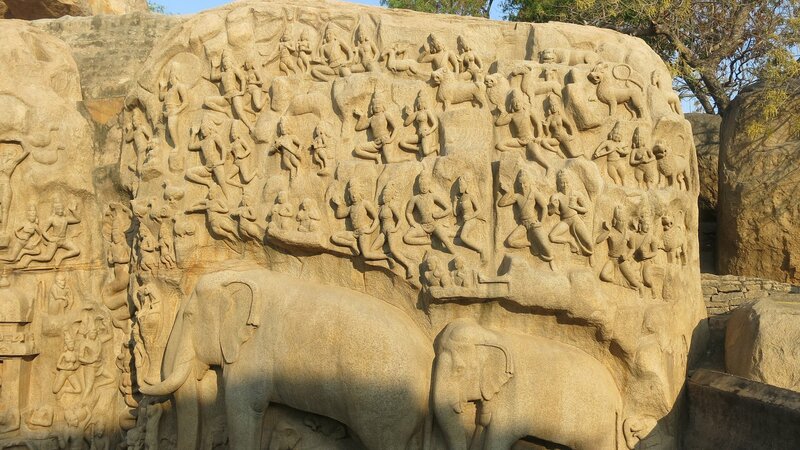 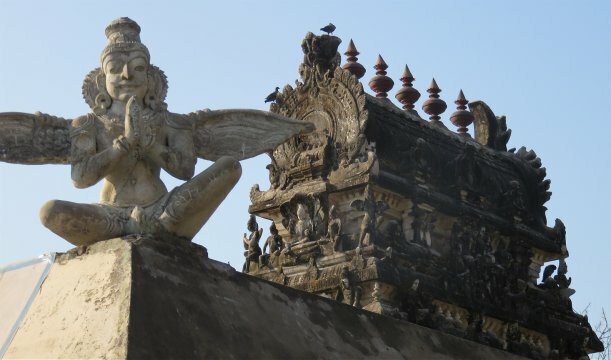 It is a UNESCO site called Arjuna's Penance. We were pulled in by a family wanting pictures with us. The father was a Social Studies teacher and was very keen on conversation. 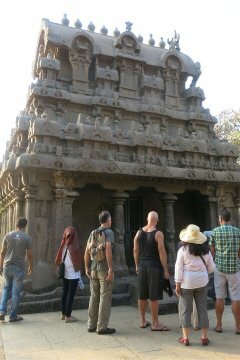 However, we were losing sight of our group and had to leave in haste to catch our bus for Temple Location 2.